Earn extra rewards for your driving. Unless you use public transportation, having a commuter vehicle is a necessity. And with it comes expenses – repairs, insurance, and gas (unless you have an electric car). 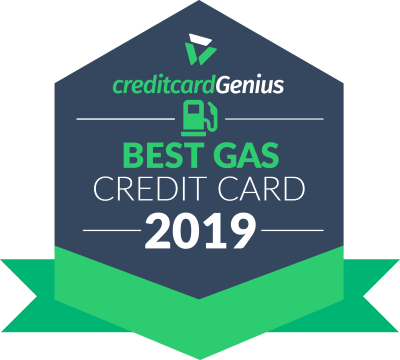 That's why credit cards with gas rewards are major money savers – they allow you to earn rewards on something you have to buy anyway. And since almost all gas stations require you to prepay for your gas if you use cash, you can bypass this by using a credit card and pay at the pump instead. If gas is one of your biggest expenses, a gas credit card can help reduce your cost or get you extra rewards you can use later on. Gas credit cards can help you save at the pumps by offering valuable rewards on your gas purchases. They'll usually get you a 1.67% - 5% return, allowing you to pocket more rewards. The first thing to keep in mind before making a choice when looking for a gas credit card is what type of rewards you'll earn. To really get the most out of your spending, it's best to find a credit card that's geared towards your goals – whether it be cash back rewards, flex rewards, or travel rewards. This way, you're not earning rewards you likely won't use. If you love a good discount, cash back credit cards are great for saving money on your everyday spending. On each purchase you make, you'll get a small percentage back, usually in the form of a statement credit. These are rewards you can use for anything you like. Flexible rewards are for people who prefer to have options. You'll earn points that can be used for a multitude of different things. Want to redeem your points as a statement credit? No problem. What about switching travel providers here and there? You bet. With flexible rewards, you get to decide what type of rewards you want. Whether you travel for work or play, a travel rewards card is great for getting discounts on specific airlines, cruise lines, hotel chains, railways, and stores. Each dollar you spend will earn you points or miles that you can use towards those specific travel providers. If loyalty is your middle name, this could be the type of rewards for you. Annual fee or no annual fee gas credit card? Credit cards that let you earn extra rewards on your gas spending can sometimes come with an annual fee. But when does it start to make sense to pay an annual fee for your gas rewards? Say you choose a credit card with an annual fee of $95 that gives you a 3.87% return on your gas purchases. If we only take into account gas spending, this means you'd have to spend roughly $334 on gas per month to break even. Between my partner and I, we usually spend around $350 per month on gas, making a gas credit card with an annual fee easily worth it for me. And when you factor in other spending, the amount needed to spend on gasr goes down considerably. There are a few other things to keep in mind as you hunt for a gas credit card. Some gas cards will only allow you to earn rewards when you purchase gas at specific stations. This can be a big downside for people who don't always visit the same place to gas up. But, if you routinely fill up at the same location each and every week, this might not be such a nuisance for you. And if it's with a major gas station chain like Exxon or Shell, it shouldn't be too hard to find one near you. Instead of allowing you to earn rewards, some gas credit cards will allow you to get instant cents-per-gallon savings at the pump. But – you guessed it – only at specific stations. However, you'll be rewarded up front, instead of having to wait to get your rewards later on. Another downside to look out for is caps and limits. If we use my $350-per-month gas spend as an example, an annual cap or limit of $5,000 is plenty – anything below that, however, I would start to lose out on some major rewards. Make sure to read the fine print to see if there's a limit or cap on how much you can earn in rewards with your credit card. Note: Rewards based on a monthly spend of $500 in gas only to illustrate cards that give great bonuses for gas.